1. Combine flour, 1/4 c. sugar, and baking powder in a large bowl. Add milk, oil and vanilla. Stir until completely mixed and the mixture is smooth. stir in peanut butter. Then pour into your 4-quart slow cooker. 2. Mix together remaining 1/2 c. sugar and cocoa powder in a separate bowl. Slowly stir in boiling water. Pour mixture over batter. DO NOT STIR. 3. Cover and cook on high 2 t 3 hours or until a toothpick inserted in the center comes out clean. 4. 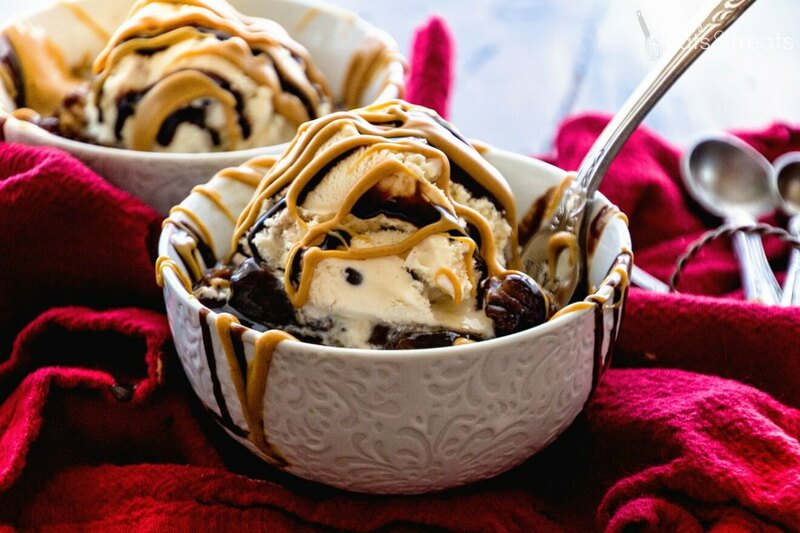 Serve with ice cream, chocolate syrup and peanut butter. I like Suzan’s idea. Think I’ll try it with some of my grandchildren. Can’t wait to try this with my grandson. If I have everything (or almost everything) pre-measured, he could just “dump and blend” so to speak. Sounds yummy!